General Cigar announces that Punch Rare Corojo has begun making its annual return to retail. The seasonal collection welcomes a new, limited edition frontmark, while one of its original sizes will be retired this year. The 2016 release of Punch Rare Corojo marks the addition of Regalias Perfecto, a 7.25” x 54 perfecto, available exclusively as part of a trade offer. Regalias Perfecto will be packaged in a sleek wooden box containing 10 cigars and will sell for an SRP of $7.99 per cigar. The Double Corona size (6.75” x 48) will retire this year, once the limited allotment of this vitola has been depleted. Punch Rare Corojo is handcrafted in Honduras and features a lustrous Sumatra wrapper cultivated in the mountains of Ecuador. Grown only in limited quantity, these rare, reddish leaves give Punch Rare Corojo its uniquely smooth taste. Bound with hearty Connecticut Broadleaf, the blend features a spicy blend of Nicaraguan, Honduran and Dominican tobacco for a uniquely-flavored, complex smoking experience. Easton, PA -- Famous Smoke Shop is a leading online distributor of discounted premium cigars. The company specializes in offering the web’s widest selection of cigars at the lowest prices. As part of their continued commitment to excellence and serving those who enjoy fine cigars, Famous has just announced the release of the new Alec Bradley 1633 which is now available for sale exclusively through their online store www.famous-smoke.com. 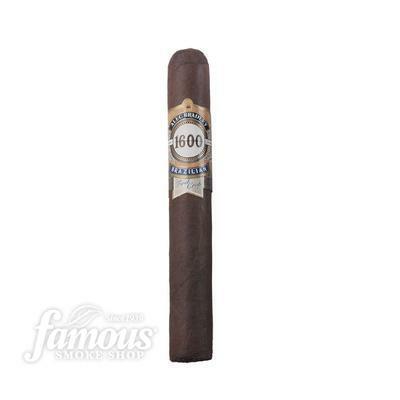 The Alec Bradley 1633 is one of two cigars released under this new line of cigars. The 1633 in the name pays tribute to year when the first tobacco plant is believed to have been grown in Connecticut, which is the state in which this cigar’s wrapper originates. Under the leadership of Nestor Plasencia, these cigars are rolled and carefully inspected to ensure each cigar enjoyed is consistent and of the highest quality from one to the next, before being boxed up and shipped to Famous Smoke Shop’s massive warehouse in Easton, Pennsylvania where their company is located.. The blend on the Alec Bradley 1633 is complex and very involved. As stated previously, this cigar features a smooth Connecticut wrapper, providing subtle nuances of savory flavors and aroma. The core intensifies the flavor with a Costa Rican binder and longfillers from Panama, Honduras, and Nicaragua. Although it looks light and mild, this offering is a rich and creamy medium bodied cigar that is sure to strike a chord with anyone who likes mild bodied cigars yet wants to try something more daring, or the true medium bodied fan who enjoys palate pleasing full-on flavor. Alec Bradley 1633 Cigars are available in four sizes – a 7 x 50 Churchill, a 6 x 60 Gordo, and a 6 x 52 Toro, and a 5 x 50 Robusto. With Famous’ full box discount pricing, customers can enjoy this new offering in boxes of 20, with individual retail prices ranging from $5.91 to $7.41 per cigar. People interested in learning more about Alec Bradley 1633 cigars or Famous Smoke Shop should visit www.Famous-Smoke.com or call 800-564-2486. 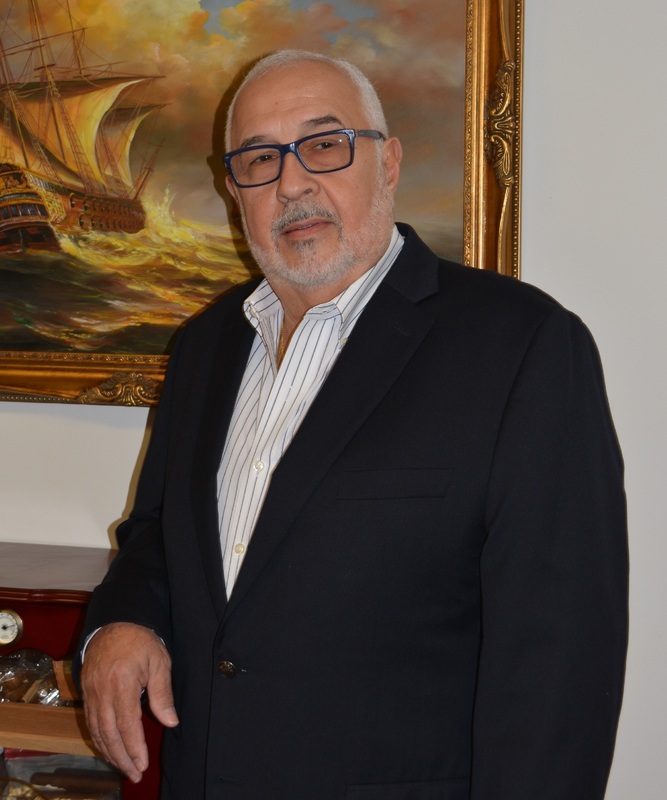 (Miami, Florida) February 2, 2016 — Villiger Cigars North America proudly names Rene Castaneda as their new President. In this new role, Castaneda will oversee all aspects of US operations, including sales and marketing. Castaneda will work in tandem with managing director Michael Blumendeller. Villiger Cigars North America goes forward with their plans to restructure and stay true to their commitment of providing the cigar industry with the best quality cigars. Rene Castaneda has an expansive tenure in the premium cigar industry, where he was previously the Vice President of Sales & Marketing for Miami Cigar & Co. Most recently, he held the same position for the Orleans Group International, and spearheaded the hugely successful Dram Cigars for Whiskey campaign. Castaneda is an Industrial Engineer with extensive knowledge in operations, distribution, logistics and inventory management. Rene Castaneda stated: "It is truly an honor to be chosen for this position, at a company so rich in history. We plan on being an innovative company while bringing Villiger back to its roots. I have all the confidence that Villiger Cigars North America will soon be the standard. Our plan is to develop brands that connect with the consumers while working alongside retailers, and all partners, providing the best products and service. We want the consumer to know that Villiger Cigars has a deep history, originating in 1888, and represents the 'original classic'." The hiring of Rene Castaneda is one of the many changes occurring at Villiger Cigars North America. One of many announcements in the near future will include changes in the Villiger Cigars North America portfolio, which will encompass new premium cigar brands. Michael Blumendeller, Managing Director for Villiger Cigars North America, states: "Mr. Heinrich Villiger is as committed as ever to the U.S. market. We are looking forward to bringing back VCNA headquarters to Miami. Rene is a true cigar man and there is no doubt, that he will represent the Villiger Cigar brand with passion, and respect." COFFEE BREAK by TATIANA SHIPS TO STORES TODAY! (Miami, Florida) November 23, 2015— Miami Cigar & Company, one of the originators of the flavored premium cigar is ready to ship Coffee Break by Tatiana, which was introduced this past July at the 2015 IPCPR in New Orleans. (Miami, Florida) February 3, 2016 -- Miami Cigar & Company proudly announces that it has reached an agreement to become the exclusive distributor of Toscano Cigars in the United States. Based in Tuscany, Italy, Toscano produces high quality fermented Kentucky tobacco. The brand has forever been immortalized through film and television, most well known as Clint Eastwood's 'go-to' cigar in Sergio Leone's 'Dollars Trilogy' film series and other Spaghetti Westerns. Toscano has been producing cigars for 200 years. The unique flavors of the Toscano brands have made them easily the most dominant cigar brand in Italy. Made with only Kentucky fire cured tobacco, the uniquely shaped cigars are known for their intense strength, aromas and flavors of wood, roasting, peat, leather and stable. Because of the unique fermenting process, the Toscano cigars do not need humidification, and can be stored at room temperature for years without losing quality. An interesting quality about the Toscano cigars is that most of the brands are meant to be cut in half before smoking (two cigars per stick). Miami Cigar & Co. will distribute a wide variety of the Toscano brands, to include both the classic and the flavored Toscano cigar brands. Brands to be distributed include the Classico, Antico, 1492, Toscanello, the flavored Toscanello Aroma Café, Toscanello Aroma Vaniglia and the Toscanello Aroma Grappa. Most Toscano cigars are between the lengths of 5.9 to 6.3 in. Each Toscano box holds 50 sticks, which would be traditionally cut in half to make 100 cigars. The boxes range in price from $135.00 to $200.00 MSRP. 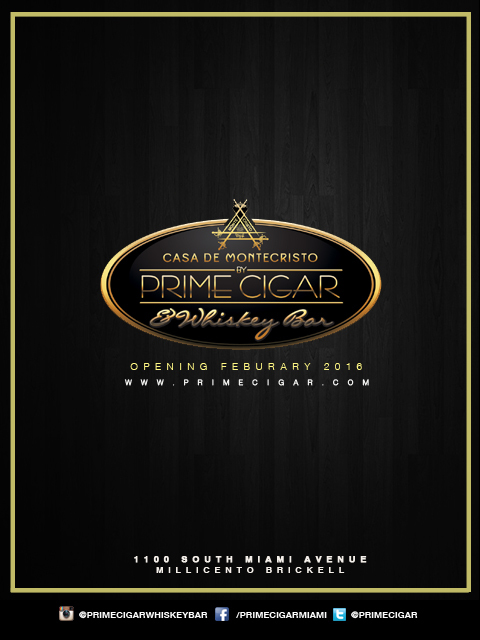 Jason Wood, Vice President of Miami Cigar & Company, said: "We take pride in distributing a variety of different products, and Toscano Cigars offers a change of pace for smokers who may be looking for something different. Toscano is a lifestyle brand that offers unique flavors, sizes and smoking experience. We are happy to welcome the Toscano Cigar family into the Miami Cigar & Co. portfolio." About Miami Cigar & Co: Founded by Nestor and Mariana Miranda, Miami Cigar & Co. has become one of the premier distributors of premium cigars, boasting a portfolio which includes Tatiana, Don Lino and the Nestor Miranda brands. Miami Cigar &Co. also serves as the exclusive United States distributor for La Aurora, S.A and all Viva Republica brands. The Alec Bradley 1633 is one of two cigars released under this new line of cigars. The 1633 in the name pays tribute to year when the first tobacco plant is believed to have been grown in Connecticut, which is the state in which this cigar’s wrapper originates. Under the leadership of Nestor Plasencia, these cigars are rolled and carefully inspected to ensure each cigar enjoyed is consistent and of the highest quality from one to the next, before being boxed up and shipped to Famous Smoke Shop’s massive warehouse in Easton, Pennsylvania where their company is located.. The blend on the Alec Bradley 1633 is complex and very involved. As stated previously, this cigar features a smooth Connecticut wrapper, providing subtle nuances of savory flavors and aroma. The core intensifies the flavor with a Costa Rican binder and long fillers from Panama, Honduras, and Nicaragua. Although it looks light and mild, this offering is a rich and creamy medium bodied cigar that is sure to strike a chord with anyone who likes mild bodied cigars yet wants to try something more daring, or the true medium bodied fan who enjoys palate pleasing full-on flavor. Alec Bradley 1633 Cigars are available in four sizes – a 7 x 50 Churchill, a 6 x 60 Gordo, a 6 x 52 Toro, and a 5 x 50 Robusto. With Famous’ full box discount pricing, customers can enjoy this new offering in boxes of 20, with individual retail prices ranging from $5.91 to $7.41 per cigar. People interested in learning more about Alec Bradley 1633 cigars or Famous Smoke Shop should visit www.Famous-Smoke.com or call 800-564-2486. WASHINGTON, D.C. –The Food and Drug Administration (FDA) has moved the proposed deeming rule on cigars and pipe tobacco into the next phase by sending it to Office of Management and Budget (OMB) at the White House for economic review as required by Executive Order 12866. This agency has a statutory 90-day period for review before the rule is moved into final implementation. During this time, the IPCPR will present fact based evidence and data to the Administration. OMB will likely not share the details as they review the FDA’s proposal. As such, the IPCPR is prepared to act immediately upon release of the final rule should the ruling not be favorable to premium cigars and pipe tobacco. Under the Tobacco Control Act, the FDA has the authority to regulate tobacco-derived products in the U.S. marketplace. The IPCPR believes that premium cigars should be exempt from regulation as they do not have youth access issues and habitual use patterns which was the scope of the original Tobacco Control Act, passed by Congress in 2009. (Miami, Florida) January 6, 2016— Miami Cigar & Company continues its growth, as the group welcomes Nate McIntyre to the family. Nate McIntyre brings with him a strong resume, long tenure of great relationships and extensive knowledge in tobacco. McIntyre served as the National Sales Director for House of Emilio, and later as the US Director of Sales for Cubanacan Cigars. McIntyre will now oversee sales in the South Eastern region for Miami Cigar & Co.
Hf Barcelona brand of accessories and humidors. EASTON, PA--(Marketwired - October 21, 2015) - Famous has just released the final installment in a series of three cigar and beer pairing review videos featuring the highly anticipated Perdomo Craft Series Stout and Yards George Washington Tavern Porter. Famous Smoke in association with their digital cigar and men's lifestyle magazine Cigar Advisor brings a fresh, irreverent, and down-to-earth perspective on all things cigars to thousands of smokers. In addition to educational cigar content and behind-the-scenes cigar industry articles from some of the business's top names, Cigar Advisor delivers an array of content about a variety of topics of interest to people who enjoy the cigar lifestyle, including pairing review videos such as this one. Miami, Florida, January 8, 2016 - Gran Habano is proud to announce the appointment of John A. Gonzalez as their new Vice President of Sales. Gonzalez will be working closely with owner, George Rico, to manage Gran Habano’s sales team to design and implement sales promotional programs to further cultivate customer relationships. He joins Gran Habano Cigars at an exciting time for the company as it is expected to announce the release of several new products and revamp packaging this upcoming year to invigorate the brand’s image. John is an exceptionally seasoned executive in the field of sales and marketing, bringing 45 years of professional experience to Gran Habano in his new position, where he has implemented sales supervision and managed top-line revenues in domestic and international markets. He spent the last four years with Kuuts LLC/Tabacalera Zapata LLC as its Vice President and General Manager, where he dedicated himself to direct management of operation and supervisor of sales and marketing, successfully increasing the company’s brand recognition in the cigar industry. Prior to working with Kuuts Cigar Brands, he devoted eight years as Vice President of Sales to Don Pepin Garcia/My Father Cigars, Inc. exceedingly achieving sales goals by strategizing marketing events to develop and introduce product line, managed its independent sales agencies, worked with customers to develop private label brands, and was responsible for startup sales with international distributors in several European countries. For more information about Gran Habano, please visit www.ghcigars.com. The Boxer Series will only be available as a five-pack format with a limited production of 3000 units. Four new sizes are being introduced in this limited run with the same blend as the Fratello Boxer. For a list of Fratello Cigars product offering please visit www.fratellocigar.com/thecigar for a description. 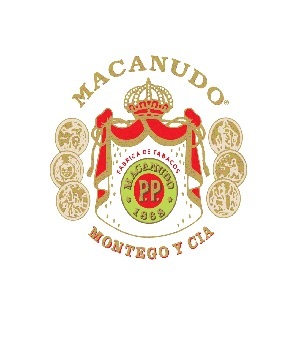 “The Macanudo logo has evolved to a more contemporary design, and packaging has been updated for visual consistency throughout the portfolio. The changes will make Macanudo even more appealing on shelf and more relevant to current and new cigar smokers,” said Alan Willner, vice president of marketing for General Cigar. EASTON, PA--(Marketwired - October 14, 2015) - Famous has just released the second in a series of three cigar and beer pairing review videos featuring the highly anticipated Perdomo Craft Series Amber and Yards Brawler Puglist Style Ale in association with their digital cigar and men's lifestyle magazine Cigar Advisor. Cigar Advisor brings a fresh, irreverent, and down-to-earth perspective on all things cigars to thousands of smokers. In addition to educational cigar content and behind-the-scenes cigar industry articles from some of the business's top names, Cigar Advisor delivers an array of content about a variety of topics of interest to people who enjoy the cigar lifestyle, including pairing review videos such as this one. Perdomo Craft Series Amber is the second in a line of three cigars that have been blended to pair specifically with a particular range of beers in mind. This cigar, also called the Perdomo Craft Series Sun Grown, is meant to pair well with beers that have malt forward notes and lighter hoppy or floral notes on the back end. Some examples of beer styles would be mild to medium bodied IPAs, heavier pale ales, Märzenbier (also known as Oktoberfest), and of course, Lagers and Ales of almost all varieties. The Amber uses all Nicaraguan tobaccos, including Cuban seed longfillers from Esteli for strength, Condega binder for some sweetness, and a spicy-sweet Jalapa sun grown wrapper for added complexity and flavor. The result is a powerhouse of a cigar that is around a medium-full bodied smoke. It's perfect for anyone who enjoys flavorful mild bodied cigars looking to try a stronger cigar with a lot of flavor, or for veteran full bodied smokers. As part of this review, Famous Smoke Shop's Cigar Advisor team has partnered up with Yards Brewing Company in Philadelphia, Pennsylvania to pair with the cigar. Padron 1926 Serie Famous 75th Anniversary Makes Halfwheel "Top 25"
EASTON, PA--(Marketwired - January 13, 2016) - "2015 was an extremely competitive year for cigars," writes Charlie Minato, editor and co-founder of halfwheel.com, one of the most widely-read cigar industry news websites. Recently Halfwheel announced their 2015 Awards for the Top 25 cigars, and tagged the Padrón 1926 Serie Famous 75th Anniversary maduro cigar as its 20th place entry. Famous Smoke Shop, the leading online distributor of discounted premium cigars, specializing in offering the web's widest selection of cigars at the lowest prices, added the Padrón cigars to their stable in November of 2015 in a collaborative effort between Jorge Padrón and Famous Smoke Shop CEO, Arthur Zaretsky, to celebrate their families' 75 years in business, respectively. In their description of the award-winning cigar, Halfwheel wrote: "The maduro-wrapped version features an exceedingly smooth profile that is filled with a depth of flavors, including citrus, hot chocolate, earth, cocoa and fruity sweetness, along with excellent construction and balance." 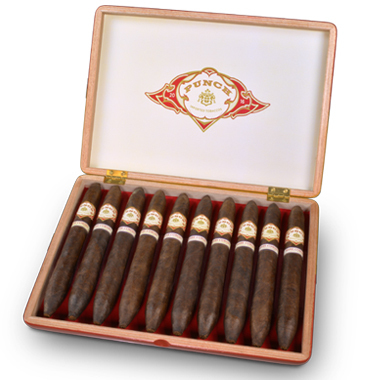 The Padrón 1926 Serie Famous 75th Anniversary cigars are made in one size, a 5" x 54 box-pressed robusto rolled in a choice of two wrapper shades: a Nicaraguan Habano natural and Nicaraguan Habano maduro. Presented in boxes of 10 cigars, these full-bodied puros are exquisitely handcrafted with all 5 to 10-year-aged Nicaraguan tobaccos offering a smooth, creamy, and well-balanced smoke brimming with Padrón's signature earthy-spicy flavor profile. Only 3,000 boxes were made, and like all Padrón 1926 Serie cigars, they have individual, serial-numbered labels. As for what inspired the anniversary cigars, both Messrs. Zaretsky and Padrón acquired a passion for cigars while growing up in their family businesses, and have come to recognize and appreciate what their families created: a confidence and a commitment to quality and customer satisfaction that grew into prosperous, internationally-renowned businesses. "I'm honored that Halfwheel chose this special cigar we did with the Padrón family for their annual best cigars list," Mr. Zaretsky said. "But the real honor goes to the customers who have supported both of our families for so many years, and hopefully, many more to come." (Miami, Florida) January 14, 2016— A.J. 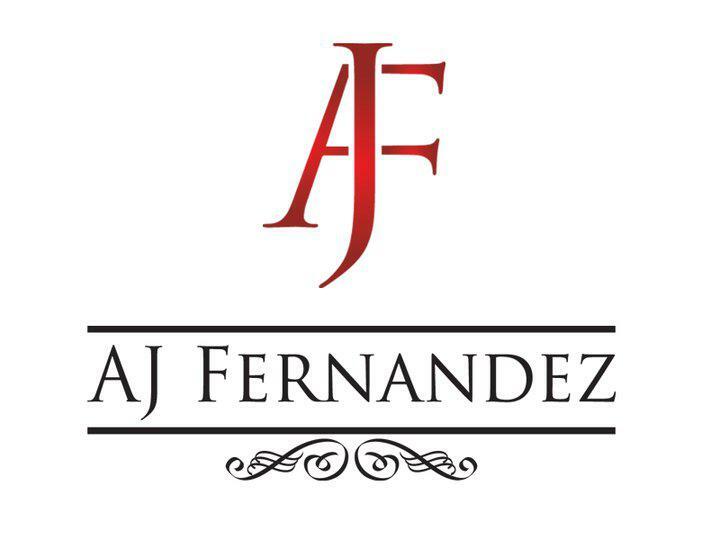 Fernandez Cigars, recognized for creating some of the most acclaimed cigars in the industry, announces that Enrique “Ricky” Somoza will now oversee operations in the U.S. Ricky has relocated to Miami from Estelí, Nicaragua, where he was production manager at the Tabacalera A.J. Fernandez Cigars de Nicaragua Factory , since 2013. Ricky Somoza, born and raised in Miami, attended Florida International University with a focus in Political Science, and eventually turned his sights on his family’s passion, tobacco. After meeting A.J. Fernandez on a trip to Nicaragua, they became fast friends, and Ricky soon was behind the scenes working side by side with A.J. as his production manager. A.J. Fernandez Cigars began the New Year strongly with a 92 rating for the Enclave Churchill by Cigar Aficionado. New World and New World Connecticut were also included as Best Buy of 2015 by Cigar Aficionado. 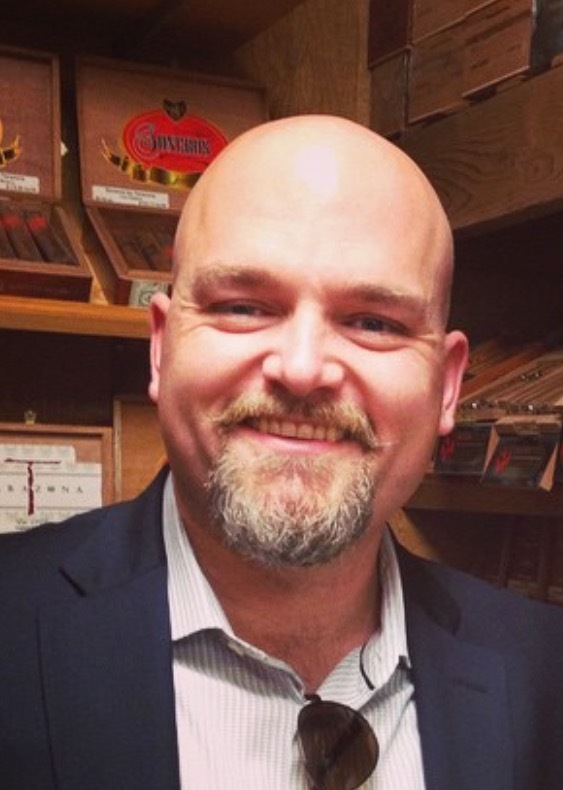 Columbus, GA -September 9, 2015 - The International Premium Cigar & Pipe Retailers (IPCPR) is pleased to announce that Mark Mann will joining the staff of IPCPR in the role of Exhibit and Sponsorship Account Manager. He will assume the day to day responsibility for the sales and servicing of exhibitors and sponsors participating in IPCPR's annual trade show and convention. IPCPR's CEO, Mark Pursell, stated that, "We are thrilled to have a professional of Mark's caliber joining the staff team that serves the premium cigar and pipe industry. He brings a wealth of experience managing the trade show floor and providing exhibitors with world class service. For the past fifteen years, Mark has worked to produce trade shows and events all over the United States. More importantly, he comes to IPCPR with a customer-centric approach and a desire to be part of a team dedicated to a great industry." Jeff Moran, IPCPR Member Services Manager/Booth Sales Coordinator, will be retiring at the end of October, 2015. "Jeff has served IPCPR and the industry with integrity and diligence for nearly ten years", noted IPCPR Membership & Trade Show Committee Chairman, Scott Regina of Emerson's Cigars, Virginia Beach, VA. Chairman Regina added, "It's great that Mark Mann will have the benefit of Jeff's institutional knowledge and advice over the next two months." Mark Mann resides in the Washington, DC area and will soon be joining the IPCPR staff as they await the completion of the new headquarters building located on Capitol Hill. Mark will report to Dawn Conger, Senior Director of Associate Member Relations. The International Premium Cigar & Pipe Retailers Association (IPCPR) is the oldest, largest and most active trade association representing and assisting premium retail tobacconists and their suppliers. IPCPR is a not-for-profit trade association organized as the advocate for the independent retail tobacconist and recognized as the "Voice of Authority and Reason" on premium tobacco related issues. IPCPR provides its members with assistance to fight draconian and onerous tobacco legislation, and brings retailers and manufacturers together in mutually advantageous business relationships.